Antler spoon. A polished, reddish antler spoon with a carved handle and a deep bowl darkned from use. The handle is cut with a round piece at the top and four flanges which curve downward toward the bowl. 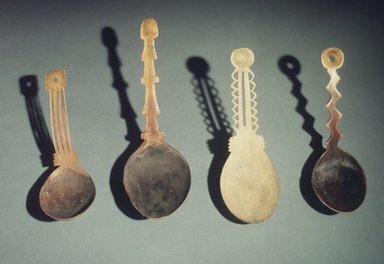 Spoons such as this were used solely by men.